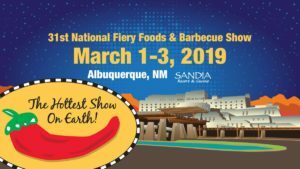 The National Fiery Foods & Barbecue Show is the largest and longest-running trade show in the nation for fiery foods & BBQ. The hottest show on earth! March 17 & 18. 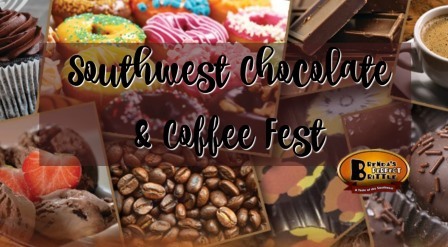 The largest consumer festival in the country dedicated to chocolate, coffee, and gourmet foods. Admission $10, kids $3, under 3, free. Chocolatiers, coffee roasters, candy makers, bakers, wineries, breweries, and purveyors of fine foods. Live music. Professional culinary demonstrations. 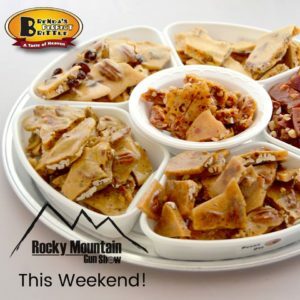 Come have some brittle at the gun show! Rocky Mountain Gun Shows offers something for every outdoor adventurer, gun enthusiast, and hunter. La Cueva HS Band Boosters host two jurired craft shows a year to support the La Cueva High School Band program. 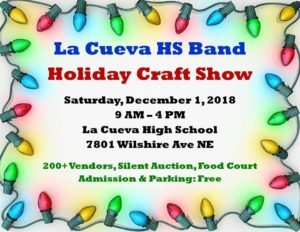 Our craft shows are volunteer run, and 100% of the booth fees benefit the La Cueva HS Band program. Our Holiday shows host over 200 vendors displaying their own wares. 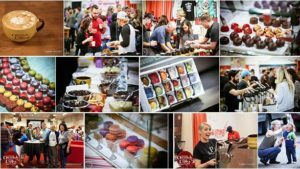 March 16 & 17, the largest festival in the country dedicated to CHOCOLATE, COFFEE, & GOURMET FOODS returns to EXPO NM in Albuquerque, NM. 10am-6pm daily. Admission $10, Ages 4-12, $3, under 3, free. Chocolatiers, coffee roasters, candy makers, bakers, wineries, breweries, and purveyors of all sorts of fine foods including dips, sauces, spices, and teas. Live music. Professional culinary demonstrations. Free Kids Zone. 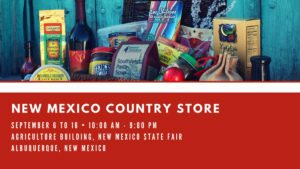 This craft show is being held on April 6, 2019. This show benefits the Athletic Program at St. Pius X High School. This is a one day show and includes a silent auction. The show starts at 9:00am and ends at 4:00pm. I will have my large array of products from my spicy brittle to my chocolate bon bons!